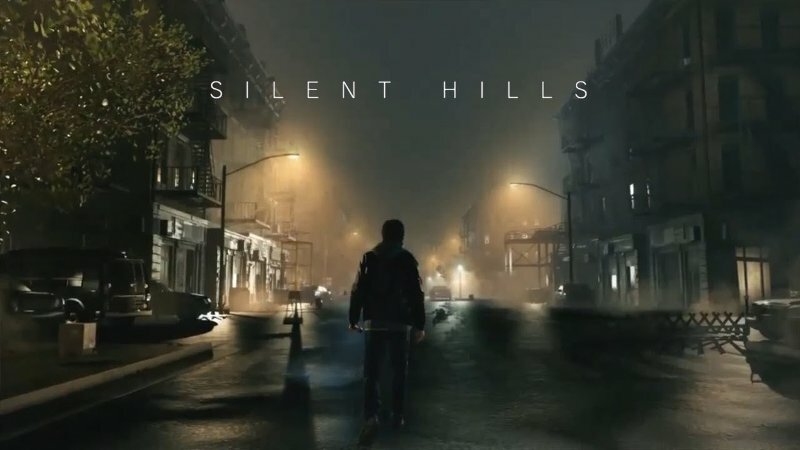 Hankies at the ready, video game fans; Konami has officially confirmed that Silent Hills, the latest chapter of the long-established horror franchise, has been cancelled. The game, which was unveiled by P.T (arguably the best videogame demo ever because it had half the world clamouring for a Silent Hills release date), was a collaboration between Metal Gear Solid mastermind Hideo Kojima and director Guillermo del Toro, with The Walking Dead’s Norman Reedus in a starring role. Frankly, it looked and sounded amazing. Ah, what could have been! With Silent Hills cancelled, a lot of gamers are disappointed. Of course, it’s not the first time an amazing game has been cancelled, and it won’t be the last. Here are a few more of the best cancelled games we missed out on. In 2004, EA and Steven Spielberg (yep, that one) decided they wanted to make gamers cry. To do that, they created LMNO, a sci-fi game in which players had to protect a female alien called Eve from FBI agents. The way the player acted towards Eve directly affected gameplay and the plot. Unfortunately, things didn’t work out. Development on the game dragged on, with various sources claiming LMNO was too ambitious for its own good. With a focus on first-person parkour, it was similar to another game in development, Mirror’s Edge, too. After years of stalemate, LMNO was turned into an all-out action game in 2008. Then, in 2009 (nearly 5 years after it was announced) it was canned entirely. There aren’t many good games based on the Aliens franchise, with last year’s Isolation a notable exception. Aliens: Crucible could have been another exception. Crucible was an RPG with base-building elements, with the objective to gather enough resources to build a base capable of protecting you from everyone’s favourite sharp-tongued xenomorphs. It sounds a bit like an Aliens version of Minecraft, which could only be a good thing. Unfortunately, Sega decided to pull the plug in 2009 so they could consider ‘the type of game they want to release’. That game turned out to be Aliens: Colonial Marines, generally considered one of the worst games of the past 10 years. Oh, Sega! Believe it or not, Silent Hills is the 3rd Guillermo del Toro game cast into gaming oblivion! 5 years prior, del Toro was working on inSane, a survival horror game designed to kick off a trilogy. Sadly, inSane was cancelled shortly before publishers THQ went into administration. There is a glimmer of hope for inSane, though. Del Toro still owns the rights to the franchise, while former THQ boss Danny Bilson has said he’s still keen to make the game. With Silent Hills cancelled, inSane could be back on the cards. Although most people think of Batman as a grumpy billionaire who punches psychotic clowns, he’s actually been on some fairly wacky adventures. He’s fought Aliens, he’s had a dust-up with Dracula and he’s even met Jack The Ripper. That last adventure was the subject of Gotham by Gaslight, a Bats videogame set in Victorian London. Seriously. It looks really good though, with Bruce Wayne’s futuristic gadgets given a steampunk makeover. With the excellent Arkham franchise hogging all of the Batman videogame spotlight, however, Gotham by Gaslight simply wasn’t to be. Shame, really; we like the idea of Batman wearing a top hat. Not to be confused with Guitar Hero: Metallica, which actually did come out, Metallica: The Game was a driving game based on the music of the thrash metal titans. It sounds like a weird idea until you remember that this is the band that wrote an entire song from the perspective of a petrol-hungry racing car. While the game never got beyond the early development stages, there was a short trailer included on the St. Anger CD and some pretty sweet artwork too. Good Star Wars games are few and far between, which makes the cancellation of Star Wars 1313 all the more upsetting. Announced in 2012, the game focused on the antics of bounty hunters and criminals Coruscant’s grimey underworld. It was rumoured that players would get to be Boba Fett, which would be worth the price of admission alone. Then, Disney decided to buy Lucasfilm and swiftly shut down development on 1313. While that doesn’t necessarily mean it’s cancelled for good, the fact Disney allowed the 1313 trademark to expire last year is a fairly strong indication that this project is dunzo. Sadface. Sadness is perhaps the most notorious cancelled videogame project of them all, as…erm, it might not have actually existed at all. The game was first announced in 2006 as a Nintendo Wii-exclusive title. It sounded awesome: set in the Ukraine, the game would focus on psychological horror over violence and allow players to interact with the gameworld using the Wiimote as virtual hands. However, 2006 was pretty much the last anyone ever saw of Sadness. No playable demos ever emerged and the game’s release date was pushed back…and back…and then back some more. Most publications gave up on the game in 2008, a year before the title’s supposed release. Incidentally, Sadness’ 2009 release date came and went without so much as a whimper. …until 2014, when two indie developers announced their plans to revive the project for the Wii U. True to form, it was cancelled the next day. musicMagpie is the surprisingly easy way to get cash for your games! Click below to get an instant price for your stuff. ← What is the greatest fighting game series of all time? Cast your vote now!